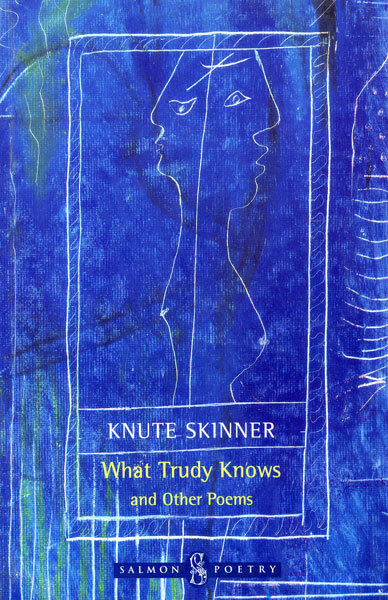 What Trudy Knows and Other Poems follows the ground broken by Knute Skinner's last collection The Bears and Other Poems. An unusual group of poems - each a brief telling of a moment in the life of one or more imaginary characters. The poems probe a variety of human relationships. As Aidan Murphy wrote of The Bears.... "A stunning collection, full of mystery, cross-purpose, weird and tragic characters... reminiscent of the short stories of the American Raymond Carver loaded with shocks and unspoken nuances of dirty realism." What Trudy Knows continues this radical departure, with verve. Knute Skinner lives in Killaspuglonane, County Clare, his home for the past thirty-eight years. His poetry has appeared widely in Ireland, Britain, Australia and North America. For some years he taught literature and creative writing part of each year at Western Washington University. He has worked as director of the Signpost Press and editor of The Bellingham Review, as well as serving on the editorial board of New Series-Departures. He is the author of 13 collections of poetry, 6 of them with Salmon Poetry, and he has poems in numerous anthologies, including Irish Poetry Now and Or Volge L'Anno-At the Year's Turning: An Anthology of Irish Poets Responding to Leopardi. He is married to Edna Faye Kiel, who is the subject of some of these poems. His most recent collection of poetry, Fifty Years: 1957-2007, was published by Salmon in 2007.